• Replace Fixtures: Changing outdated fixtures for newer hardware is one easy way to add design appeal back to your bathroom or kitchen. Sudbury Handyman Services can install or replace fixtures, including faucets, showerheads, bar fixtures, and more. • Pipe Insulation: A great way to save on energy costs includes insulating your pipes and water heater. 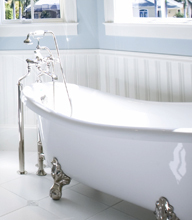 You'll save money and reduce the amount of time waiting for hot water. • Repair or Replace Toilets: Whether you have Sudbury Handyman Services install low flow toilets or have your existing toilets repaired, you know the job will be done right and on time when you call Sudbury Handyman Services. • Fix Plumbing Leaks: No matter if you need a pipe replaced or tightened, let Sudbury Handyman Services solve your plumbing leak problem. A dripping faucet alone can waste 212 gallons of water per month. • Faucet Repair Services: Avoid replacing your faucet and have it fixed instead. 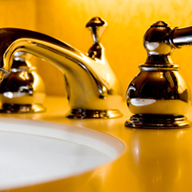 Sudbury Handyman Services offers faucet repair services that put your faucet back in working order. • Shower Door Installation: Putting in a new sliding or glass shower door can transform your bathroom. Consider Sudbury Handyman Services your professional shower door installer. • Tile Installation: Choosing the right material is critical to any home remodeling project. Sudbury Handyman Services is a tile installer that can help you identify the right tile for your space. Sudbury Handyman Services takes care of what needs to be done, so that each item on your "to do" list is checked. After he addresses your plumbing issues, then he can move on to other home repairs, like tile repair ,installing countertops , patching drywall , and more. Call Sudbury Handyman Services today to learn about our plumbing services.